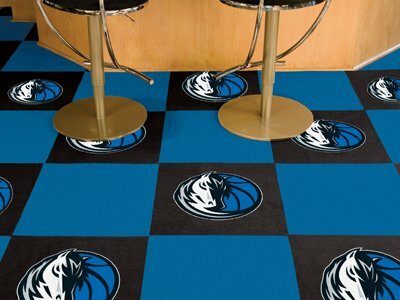 Fan Mats Dallas Mavericks Carpet Tiles,18" x 18" Tiles Width Inches: 18. Length Inches: 18. Construction: Fibers/Vinyl. Type: NBA. Style: Dallas Mavericks.